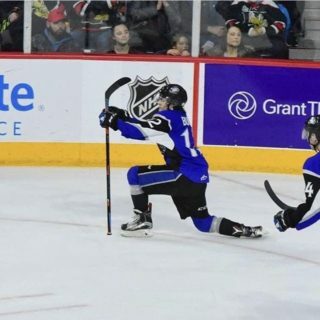 SAINT JOHN, NB – The Saint John Sea Dogs set three team records as they opened the President’s Cup playoffs with a 13-4 win over the Cape Breton Screaming Eagles. 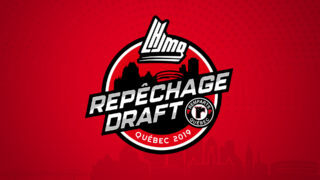 The 13-goal outburst was the biggest offensive output in team history and included an eight-goal second period, which also established a new team mark and tied a Quebec Major Junior Hockey League playoff record. Charlie Coyle led the way with three goals and two assists, tying Saint John’s playoff record for points in a game. 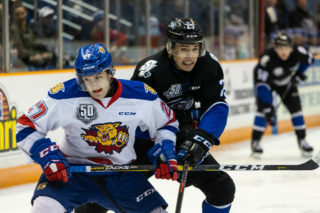 Danick Gauthier added two goals and two assists, with Jonathan Huberdeau, Tomas Jurco and Zack Phillips racking up a goal and three assists each. 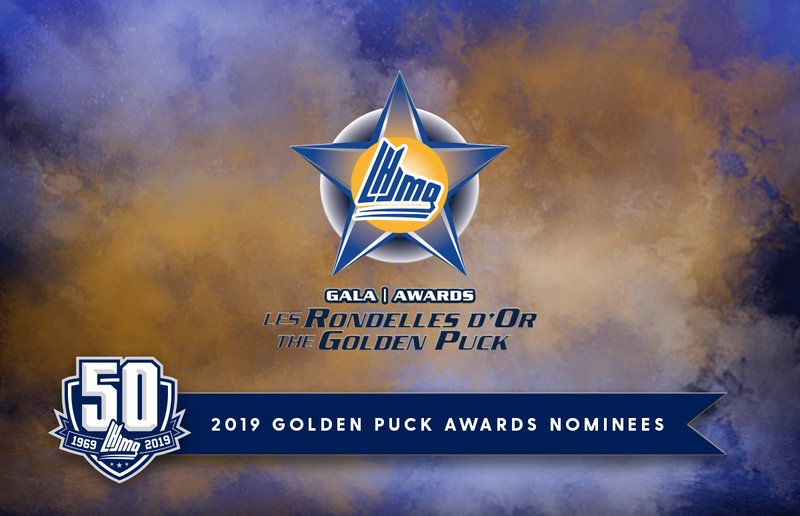 Nathan Beaulieu tallied a goal and two assists, while Charles Roussel, Stanislav Galiev and Jason Seed – with his first goal as a Sea Dog – all chipped in a goal and a helper. Aidan Kelly tallied a single to round out the goal-scoring and Kevin Gagne contributed two assists. Mathieu Corbeil was credited with the win for his 15-save performance before a crowd of 4,917 at Harbour Station. The Eagles got two goals off the stick of Bronson Beaton, William Carrier had a goal and two assists and Kyle Farrell scored the other Cape Breton goal. Jonathan Brunelle chipped in two assists. Philippe Trudeau made 27 saves on 37 shots, while William Racicot stopped 10 of the 13 shots he faced. Click HERE to view a complete scoresheet from Friday’s game. For interviews and highlights, visit Sea Dogs TV, the team’s official YouTube channel. Gauthier beat Trudeau with a beautiful shot 4:18 into the first, assisted by Jurco and Gagne. But Cape Breton charged back to take the lead with Farrell and Carrier scoring on the team’s first two shots of the game. The Sea Dogs equalized on Roussel’s goal at 15:48 of the opening frame. The overage defenceman walked into the high slot from the left point and knocked a low shot that skittered through a crowd and beat Trudeau low to his left. The second period was a different story, as Coyle finished a cross-crease pass from Phillips on a power play just 1:39 in. Beaulieu picked up the other assist on the play. The teams’ tough guys then dropped the gloves for a pair of bouts three seconds apart. 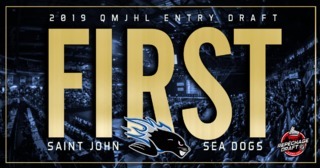 First Saint John’s Grant West tangled with Blake Millman at 2:49, followed by Spencer MacDonald taking on Dany Potvin of the Screaming Eagles. The fisticuffs seemed to give Saint John a lift, as Huberdeau set up Jurco to make it 4-1 at 3:31, with the other assist going to Gauthier. Just 20 seconds later Coyle scored on a setup by Phillips. Huberdeau added to the onslaught with a short-handed goal at 5:32, deking to the backhand to beat Trudeau after Roussel sent him in on a breakaway. Gauthier made it 7-2 at 8:57, with assists from Huberdeau and Jurco. Beaton made it 7-3 at 9:37, but Seed restored the five-goal lead just 37 seconds later on a great setup by Coyle. Tesink picked up the other assist. Coyle made it a hat trick at 13:19, redirecting a rebound that was originally waved off but later confirmed as a good goal on video review. Phillips and Beaulieu picked up the assist. Kelly got in on the action with a power-play goal at 16:59, assisted by MacDonald and Seed. Beaton scored again with 15 seconds left in the second to make it 10-4. The Sea Dogs added three more markers in the third period. Phillips tallied at 1:33, with assists from Coyle and Galiev. Beaulieu blasted one home at 8:20, with an assist from Jason Cameron. Galiev rounded out the summary at 17:38, with helpers from Huberdeau and Gagne. Game 2 of the best-of-seven series is set for Saturday. 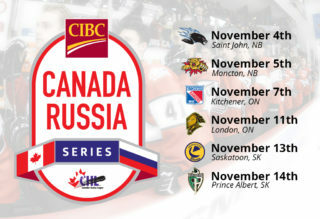 Tickets are available at the Harbour Station box office, by calling 506-657-1234 or online at www.tickets.harbourstation.ca.